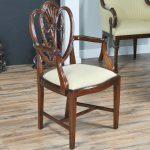 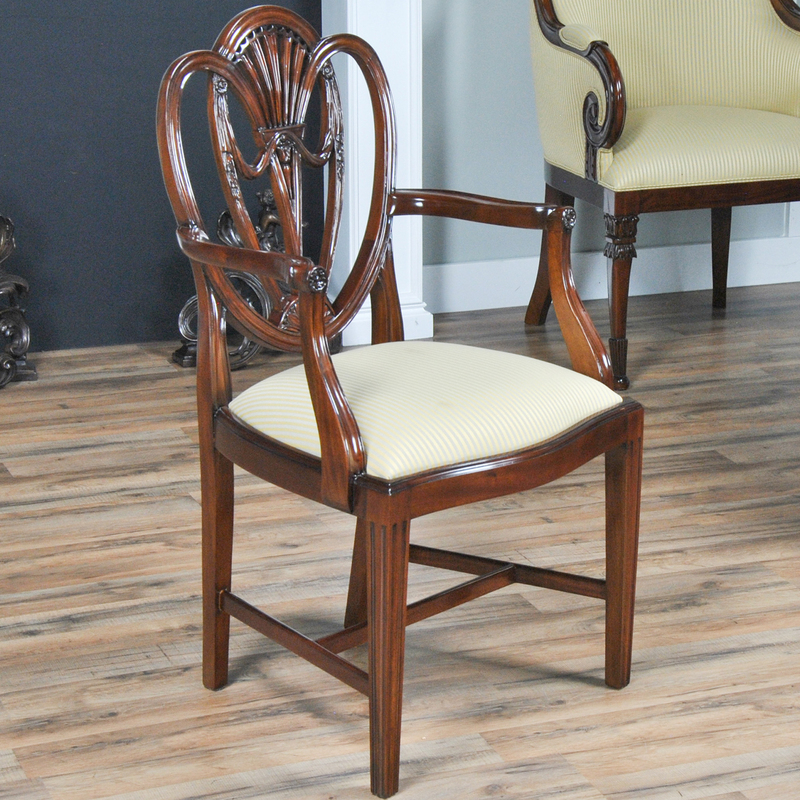 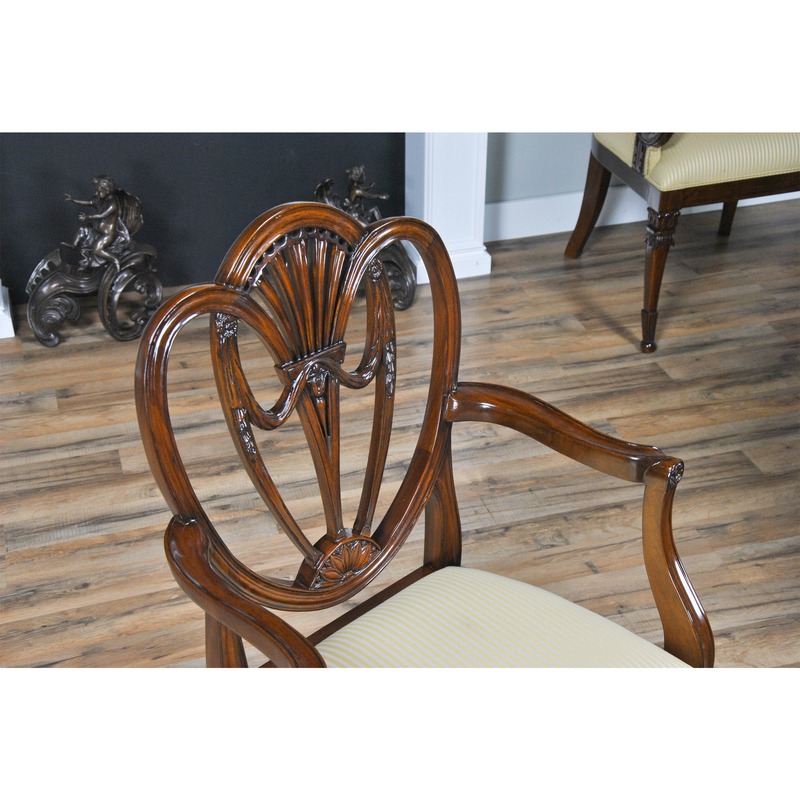 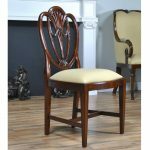 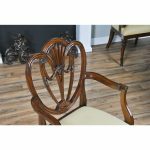 A set of ten fine quality Clover Back Dining Chairs by Niagara Furniture, the set consisting of 2 arm chairs and 8 side chairs. 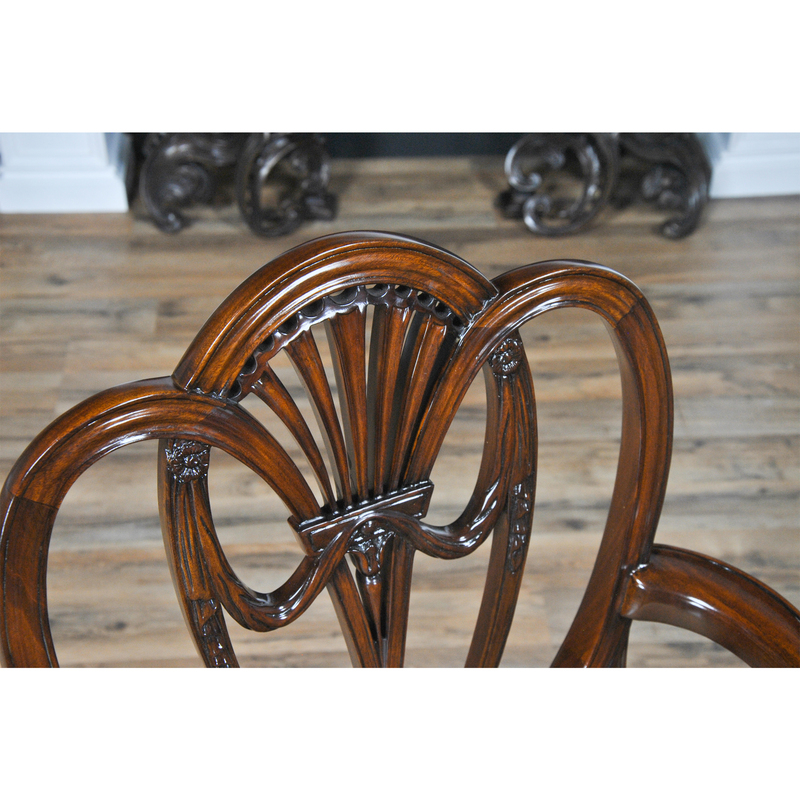 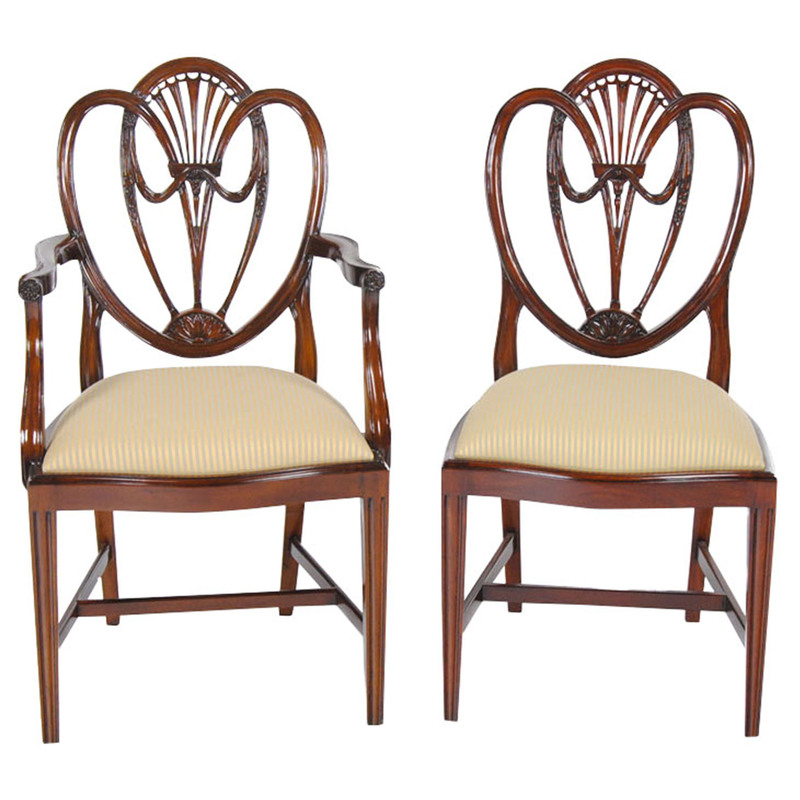 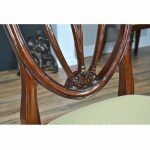 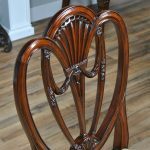 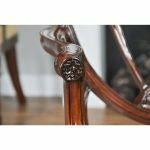 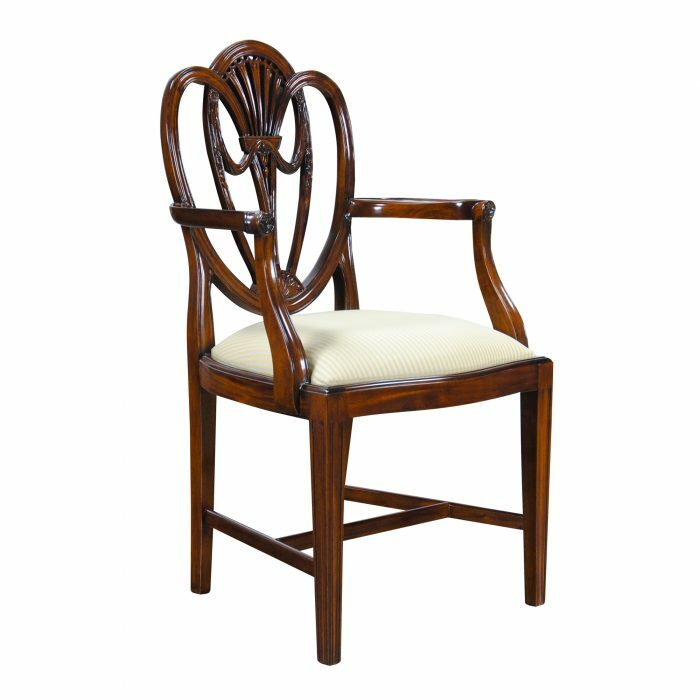 The chairs have an elegant and stylish back featuring Drape Carvings as well as interconnected loops crested by a pierced back splat. 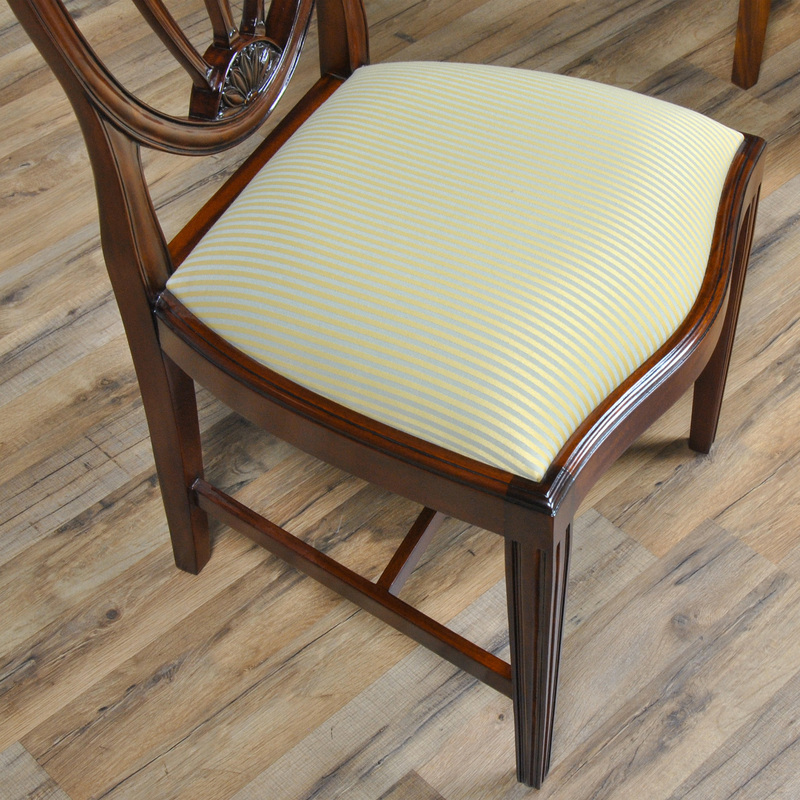 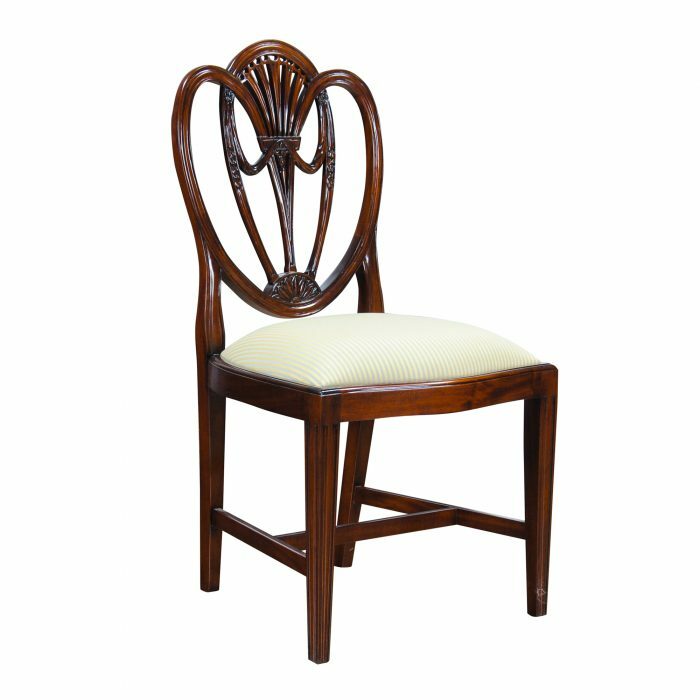 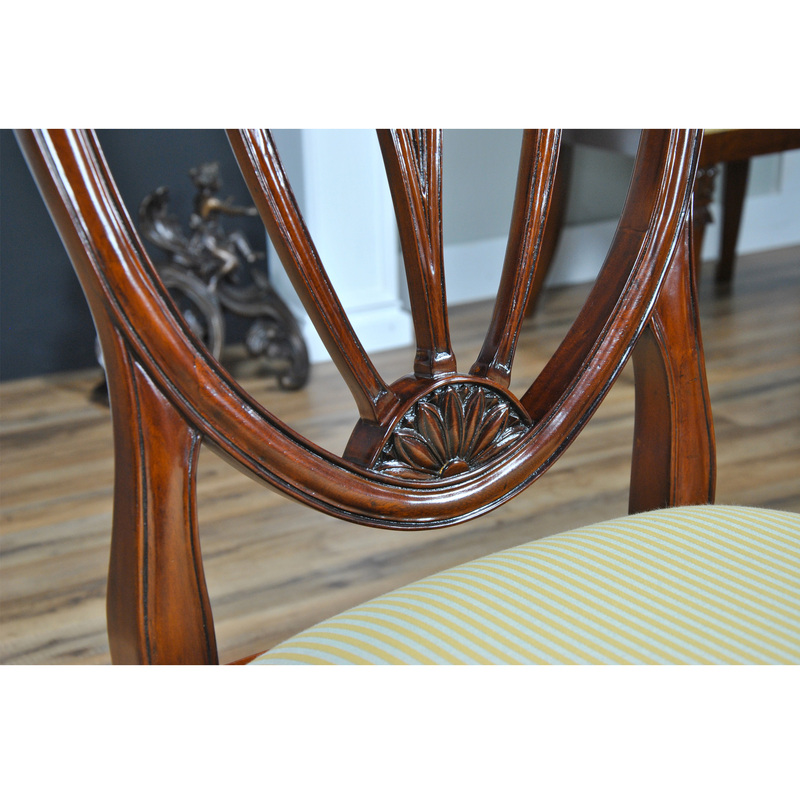 Tapered reeded legs on the front of the Clover Back Dining Chairs are connected with cross stretchers to the rear legs for extra stability and longevity.